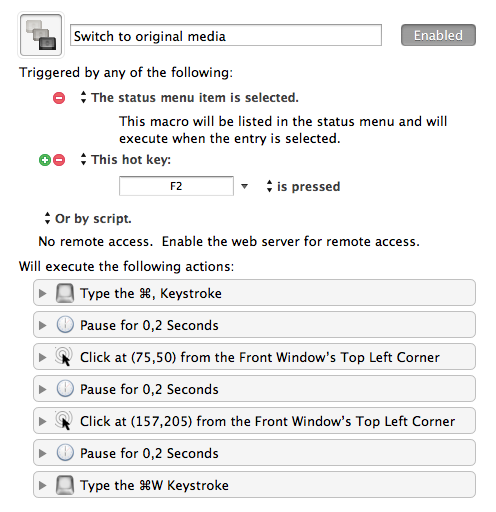 Since there are no keyboard shortcuts to switch between Proxy and High Quality media easily, I wrote two Keyboard Maestro macros to do just that. I set the shortcut to F1 and F2 for now. Enjoy.